Ira Williams is President of Bulletproof Tax & Accounting Firm Inc. a company he founded in 2005. 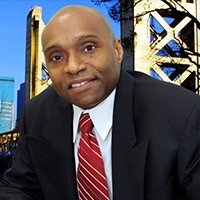 He is one of only 500 tax professionals across the US, who has earned the prestigious Certified Tax Coach™ designation after completing the rigorous American Institute for Certified Tax Coaches’ training academy. As a Certified Tax Coach™, he focuses on IRS-approved strategies for minimizing Alternative Minimum Tax, maximizing deductions from real estate, maximizing retirement savings, and similarly powerful tax strategies for his clients. With the changes in the tax law, proactive planning has become even more important for tax filers in the future. Mr. Williams also has over 10 years of experience working with the US Small Business Disaster Assistance program. Serving in various capacities, he has educated disaster survivors on attaining low-interest SBA disaster loans which can be used to repair or replace items damaged or destroyed in a declared catastrophe e.g. : real estate, personal property, machinery and equipment, and inventory and business assets. Before starting his own company, Mr. Williams worked 16 years in the Consumer Products Industry for the Kellogg Company. Mr. Williams received an MBA, from National University and a BS in Political Science from Loyola University of Chicago. His new e-book “Changing Your Tax Deduction Mindset” will be released in early 2019 on Kindle. He also authored the e-book “Will I Pay More Taxes Due to Obamacare”.